Bi-coastal production company m ss ng p eces brings a wide array of cultures to the table for Google Translate, illustrating that food is a universal language. 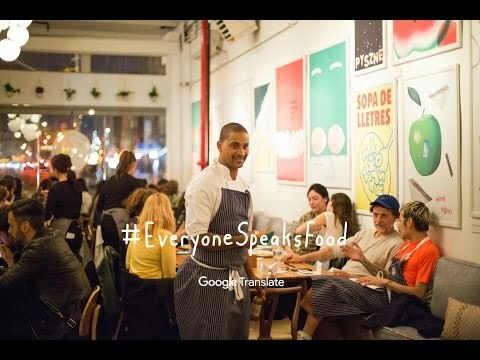 Director Josh Nussbaum’s colorful and sensual short, #EveryoneSpeaksFood, captures the journey of Small World, Google Translate’s free pop up restaurant in New York. When Google approached the production company, the brief was starkly simple: create an experience that celebrates Google Translate’s ability to bridge cultural divides. Cam Luby, head of the cultural activations for Google’s brand marketing explains, “There is something very unique in how Google Translate can break down cultural barriers. Behind best-in-class AI is a very simple product that addresses one of the biggest obstacles to universal understanding: language. We wanted to demonstrate this to people in a simple and relatable way. The culinary metaphor was the perfect stage to demonstrate the role of our technology”. Highlighting tasty dishes inspired by dozens of global cultures, artfully prepared by a cadre of 18 acclaimed chefs, the film piques interest in a pop up café featuring menus in multiple languages (necessitating diner’s use of Google Translate), and meals incorporating dishes from cuisines as far flung as Israel, Korea, Italy, Sweden and Ireland. 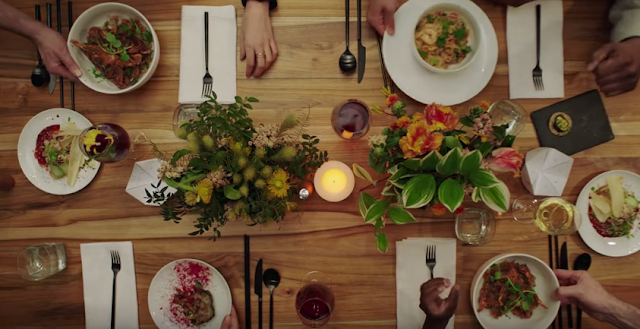 The surprise and delight diners experience during this ‘very tasty experiment’ in New York City are all fodder for Nussbaum’s 2:44 film, which places the viewer right at the flavorful heart of the pop up.